Now my army was starting to come together; infantry, some shooting and cavalry. 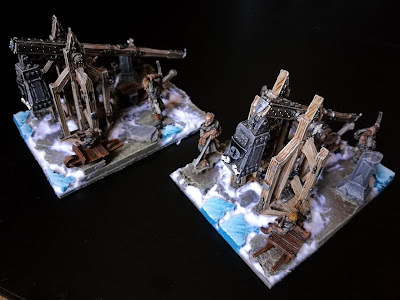 I had dabbled with siege weapons in a few of my games but i wasn't convince with their effectiveness. When they hit they hurt but with a poor ranged score i often dropped them from my lists. 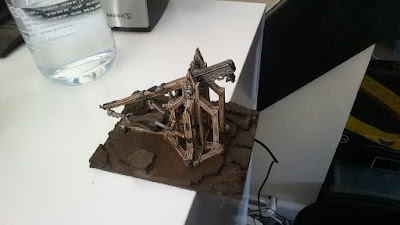 That being said i wanted something different to paint and i had 2 Trebuchet that were in dire need of a spruce up.